This year, 2012, has been named as the year the world will end - or at the very least the year things get pretty tough for us humans. Fuelled by internet conspiracy theories and the real threat of economic meltdown doomsayers are having a field day. 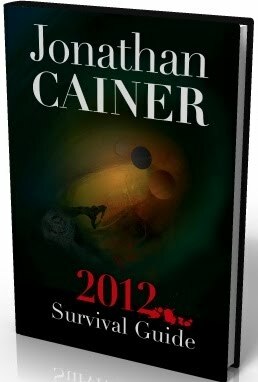 In a new book called The 2012 Survival Guide, which just released in Kindle edition, Daily Mail astrologer Jonathan Cainer looks at all of the supposed threats to our future and predicts what is actually in store for all of us in the coming year. And he talks a lot of sense, in my opinion. He points out that the people spreading scare stories about the end of the world really do believe them, but that doesn't necessarily mean they are true. There have been plenty of predictions of doomsday in the past, but the world hasn't ended yet - and there is no more reason to believe the world will end in 2012. Yet we are definitely living through times of change - natural and man-made disasters are giving us repeated wake-up calls and the economic situation is currently very difficult. But, throughout history, humans have proven themselves time and time again as being very good at responding to such wake-up calls and times of recession. We will do so again and the world will be a better place as a result, without things getting so bad that civilisation is destroyed. In his book, Jonathan also examines the theory that we are under threat from Planet X, Nibiru or a Brown Dwarf star – an invisible giant cosmic force that some say is about to exert humongous gravitational pull on our planet. This, Jonathan says, is not going to come about in the foreseeable future. His summary of 2012 is that, though it remains a worrying time, as long as we know how to handle our challenges everything will turn out for the best. “Ultimately, it is all going to be okay,” he says. Other books by Jonathan Cainer include Cosmic Ordering: How to make your dreams come true, Jonathan Cainer's Guide to the Zodiac and The Psychic Explorer: A Down-to-earth Guide to Six Magical Arts - Astrology, Auras, the Tarot, Dowsing, Palmistry, ESP.